As a self-confessed Agatha Christie nut I’m always excited when new versions hit the screen. My long-suffering boyfriend has had to sit through them all; the Marples – Margaret Rutherford, Joan Hickson, Geraldine McEwan, Angela Lansbury and most recently the lovely Julia McKenzie (hard to pick a favourite but possibly McKewan) – and the Poirots. Even the Tommys and Tuppences, although I’m less bothered by them. He just loves a Sunday afternoon Christie session (he doesn’t really). Poirot takes great pride in his appearance, from his immaculately groomed BLACK MOUSTACHE to his patent leather shoes. And yet over the years we have had a very scruffy, very grey Ustinov, a frankly insane Albert Finney, BRANAGH who is a ginger swot, and then of course, the divine and rather perfect David Suchet who for my money is the only one that comes close. And now John Malkovich. Who brings with him to the classic ABC Murders tale a grey goatee. I’m speechless. But I will guard my tongue until I have seen it. Or try to. Leaving the Case of the Missing Black Moustache aside for a moment, I am really very excited about the new Poirot to be aired over the Christmas season. Regardless of the facial hair question (IT’S IN THE BOOK DAMMIT!!) you just know Malkovich is going to bring some zing to the role. I do love him so I’ll give him a chance. There’s some corking support in the cast too and I’m looking forward to seeing Grint do a grownup thing. Tara Fitzgerald was rather born to be in Agatha Christie productions I think, and has seen a few. There is plenty of talent here but the full line up seems embargoed until the 18th so you’ll have to take my word for it. 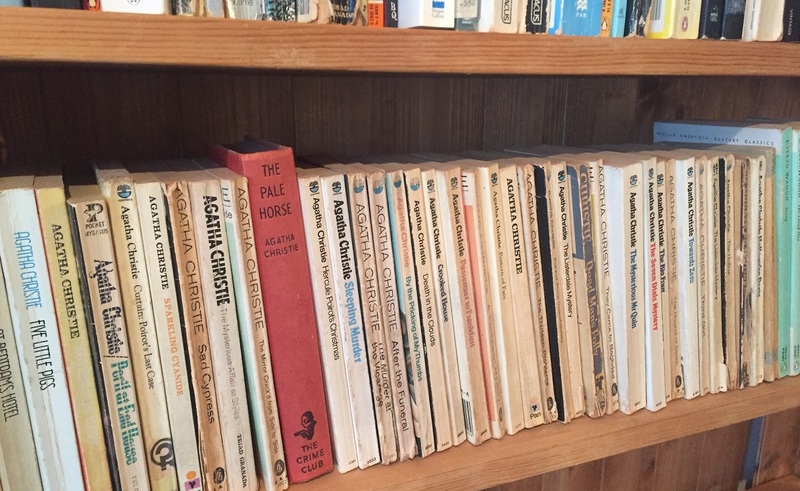 Directed again by Sarah Phelps – the Christie Estate is very picky about who gets to muck about with her books – I’ve got mixed expectations. Her bash at And Then There Were None was awesome, I thought. Dark and brooding and tense and really brilliant. Then there was Witness for the Prosecution which was a bit curate’s egg but largely a mangled sort of omelette. The year is 1933 and a killer stalks Britain, known only as ‘ABC’, striking in a methodical pattern and leaving a copy of the ABC railway guide at the scene of each of murder. As Poirot attempts to investigate, he is thwarted on every front; by a police force that no longer trusts him, a public that no longer adores him, and an enemy determined to outsmart him. It is the 1930s; a divided country where suspicion and hatred are on the rise, and the gap between wealth and poverty is great and growing greater. In the midst of this we find Hercule Poirot and his little grey cells. Poirot has aged and the world has changed around him. England; tolerant, welcoming England, squeezed by Depression, by the dark news from Germany, isn’t as tolerant and welcoming. It’s a dark interpretation of what is already a moody storyline. I have high hopes for ABC anyway, moustaches notwithstanding, so I’ll be there 100%, tucked up on the sofa with a massive Baileys and a really excited boyfriend who would far rather be using his little grey cells doing anything but watching yet another Poirot with me. Bon chance my friends.